VOTED BEST HOME ON TOUR!! 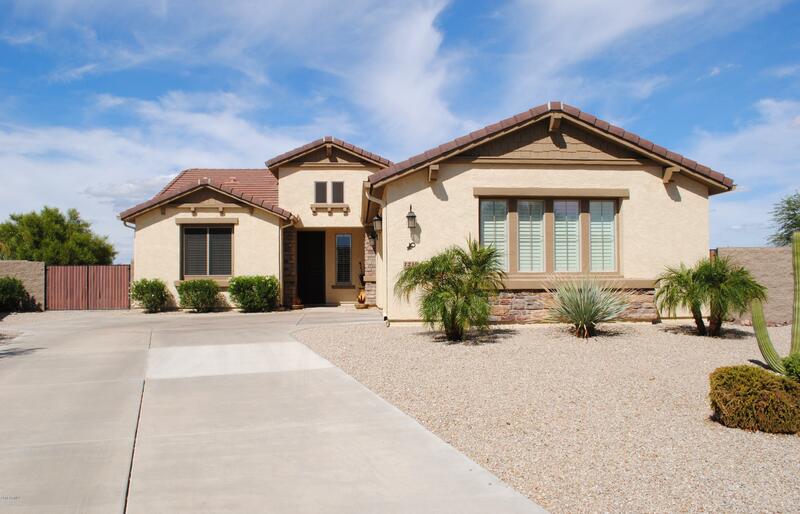 Immaculate & impeccably maintained Ledgestone situated on a 12,197 sq.ft cul de sac lot. You will appreciate the upgrades the Seller has completed on this home such as stainless steel appliances, granite countertops in kitchen & guest bath, plantation shutters, carpet replaced in 2018 & Murphy bed in guest bedroom. See complete list of upgrades under the document tab. Step out to your backyard paradise! This lot is huge, but don't worry, it is designed with low maintenance landscape, extensive use of pavers, built-in BBQ, fireplace, mountain views & RV gate for easy access. HVAC replaced with high efficiency heat pump. 2.5 car garage with built-in cabinets. Virtual tour under photos tab. Solera is a Del Webb, gated active adult community.